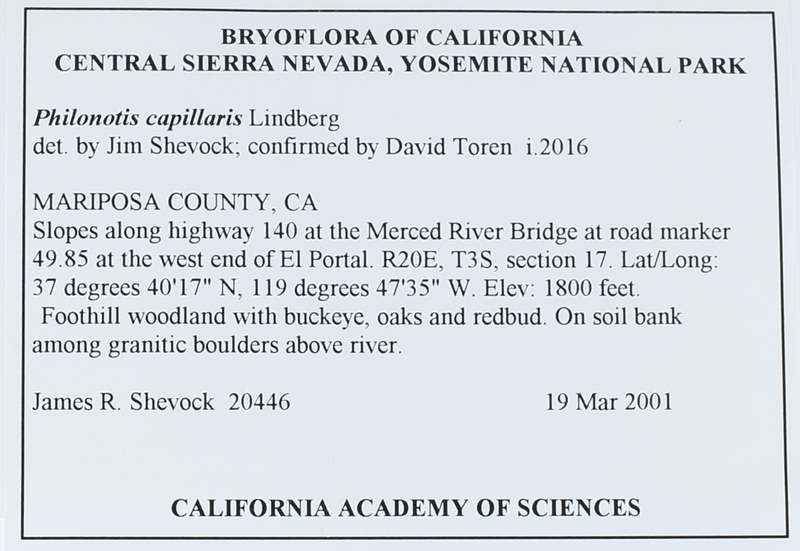 Locality: USA, California, Mariposa, Central Sierra Nevada, Yosemite National Park. Slopes along highway 140 at the Merced River Bridge at road marker 49.85 at the west end of El Portal. Habitat: 37 degrees 40T7" N, 119 degrees 47'35" W Foothill woodland, with buckeye, oaks and redbud. Substrate: On soil bank among granitic boulders above river.